Shybetskyy V. Yu.Doroshchyk M. M.
Abstract: We examined the basic control of water quality. Were studied design features in the system generation of purified water. Identified the most suitable plate heat exchanger, it is considered the principle of action and benefits. Keywords: purified water, a plate heat exchanger, Pharmacopeia, Good Manufacturing Practice, GMP. Summary. Basic models of local and central authorities’ interaction in the sphere of public policy formation and realization is analyzed. Main principles of this interaction are defined. Keywords: local authorities, central authorities, interaction, public policy, foreign experience. Annotation. This article explores the principles of transparency and openness as an integral part of public administration. We aim to clarify the core ideas of the principles of transparency and openness, identify their essential traits and determine the ways in which observing the principles affects the relations between public authorities and society. During the conduction of our study we found out that the legislative approval of governmental transparency is the result of years of development in countries with liberal-democratic social and political systems. We also investigated the impact of transparency during the core historical stages of state development. We found that the introduction of the term «transparency» in the scientific community and daily life is caused by the concept of «open society», which is characterized by the freedom of sharing and obtaining information from public authorities, provided that reasonable statutory restrictions are established. 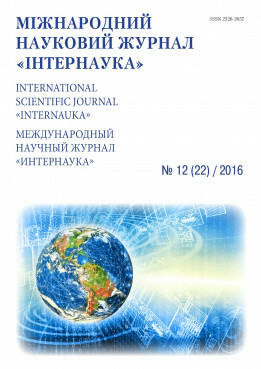 We also analysed the ideas of foreign and Ukrainian scientists on the subject. Our analysis concluded that the term «transparency» is the most popular way of characterising the external activities of the public authorities and the possibility of holding them accountable in modern terminology. However, both Ukrainian and foreign scientists use such terms as «openness» and «transparence» as interchangeable with «transparency». We classified the core traits of the concepts of «transparency», «openness», and «transparence» which was crucial in the process of developing the category system of this paper. We highlighted the differences in dictionary definitions of the terms «transparency», «openness» and «transparence». We determined that the main objectives of the public authorities is the formation, nourishment and realisation of the transparency and openness principles. We explored the theory and practice of the principles of transparency and openness in such areas as public administration, administrative law, economics, political science, sociology, law, which allowed us to witness an interdisciplinary understanding of those principles and further develop of this paper. We concluded that public authorities declare the principles of transparency and openness on their own in the self-regulating legislative acts. However, it should be noted that none of those contain a clear definition of these principles. In most cases they are used without explanation or are equated with the principles of publicity. We have also compared the achievements of the Ukrainian and foreign scientists, which allowed us to reveal and explore the core differences in the understanding of the principles of transparency and openness. This indicates that the priority for Ukrainian scientists should lie in meaningful review of the principles of transparency and openness in accordance with the recommendations of the European research programs, the Council of Europe and general legislation. Keywords: transparency, openness, transparence, principles, public authority.